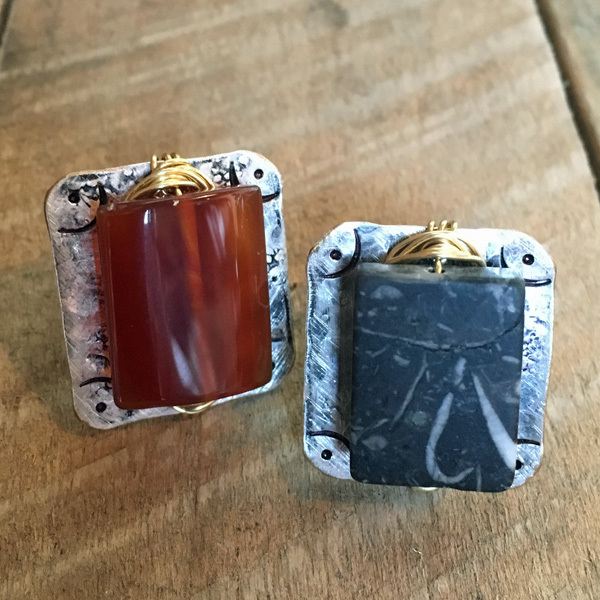 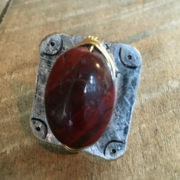 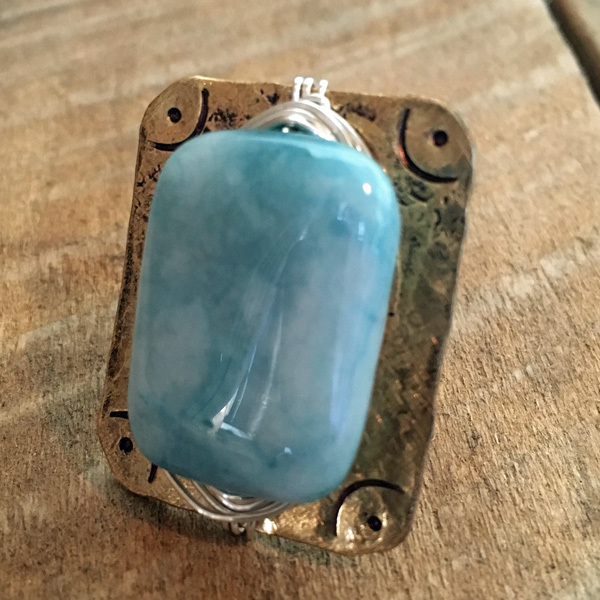 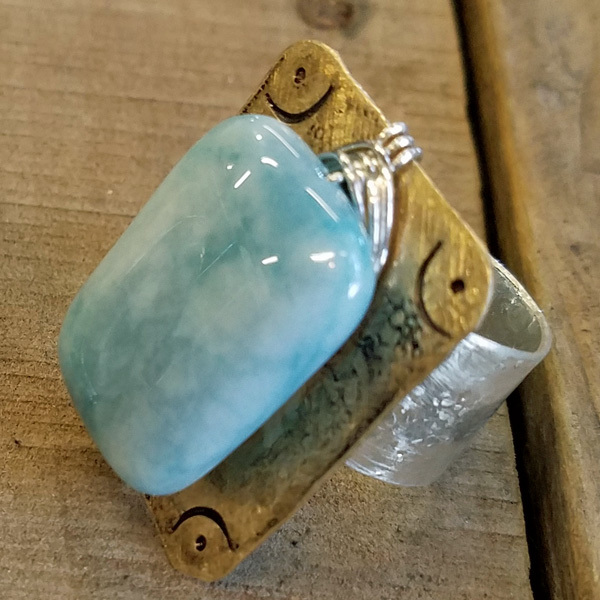 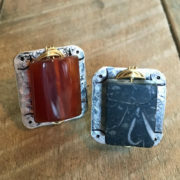 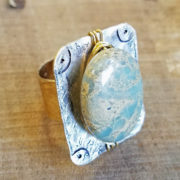 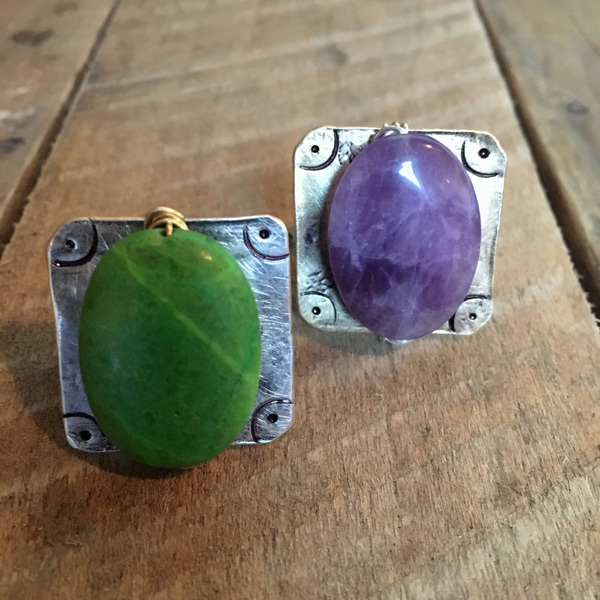 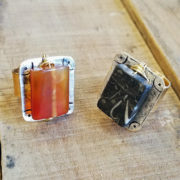 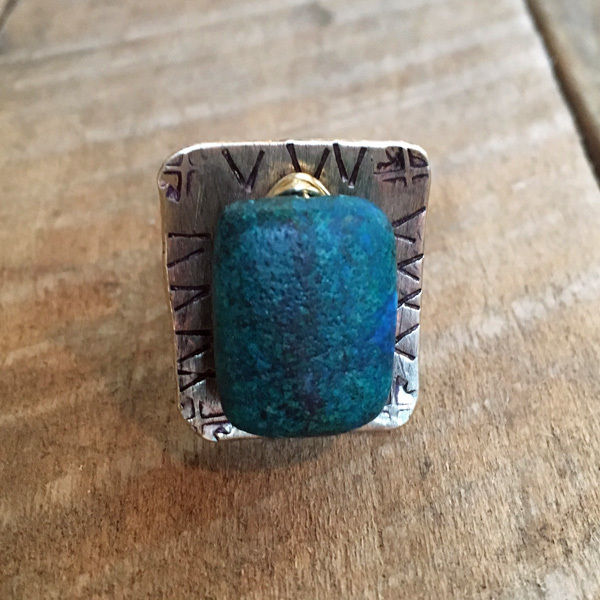 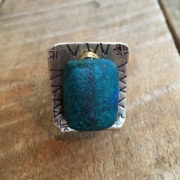 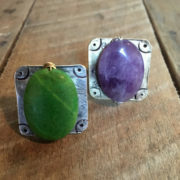 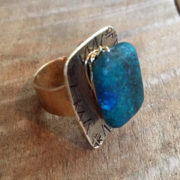 Our Wrapped Gem Adjustable Rings are hand crafted using a mix of brass and silver plated metals. 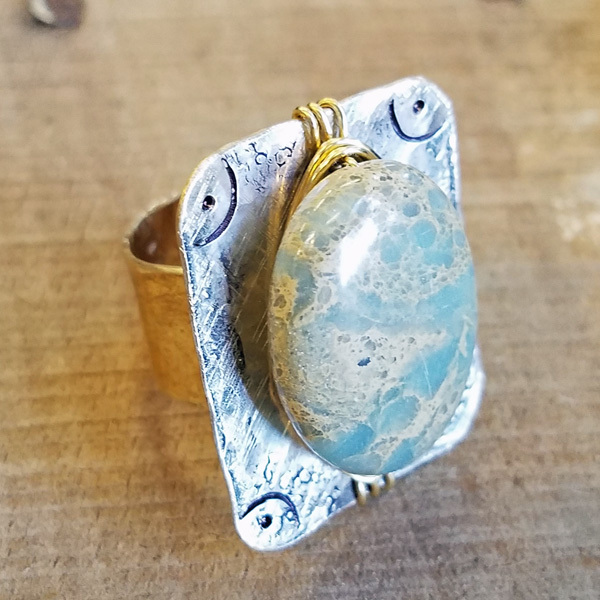 Available gemstones in Turquoise, Red Agate, Red Jasper, Zebra Jasper, White Agate, Amethyst, Green Magne, Larimar, African Opal, Blue Dumortierite (not pictured). 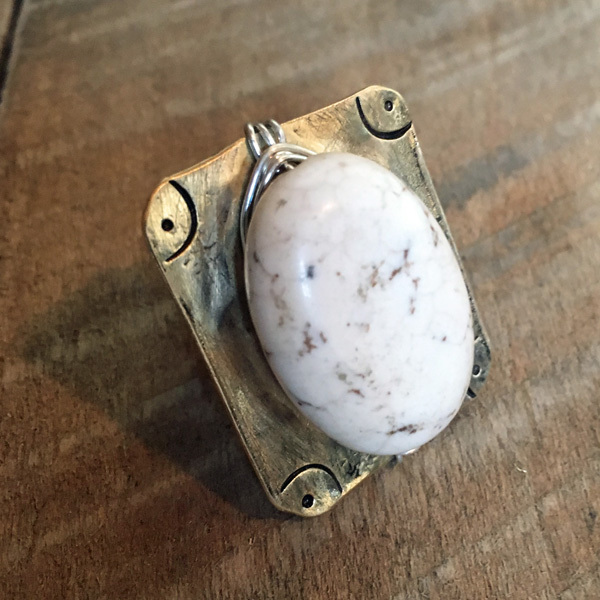 Option for brass band with silver plate or silver band with brass plate.